I had been a very physically active middle age man who competed in running, triathlons, 100 mile bicycle races, canoe races, and played a great deal of handball. Given my conditioning, it was difficult for me to accept that “something was wrong”, even though I experienced episodes of A-Fib for at least three years before my first official diagnosis was made back around 1995. In the first few years following that initial diagnosis, the episodes were spaced well apart, and typically were not associated with my regular exercise regimes. So it was difficult to ascertain the effectiveness of the various medications that were being prescribed. My regular doctor tried the usual beta blockers and calcium channel blockers and in varying dosages. None of those several medications seemed to slow the progression, the frequency, or the duration of my episodes. For many of those years, surgical intervention was out of reach, and financially out of the question for me. And, in those days, there was only the “Maze” (and then only all the way across the country). Along the way, I would go to the internet for new development information. I read a little bit about the Mini Maze, which did not inspire me much either. 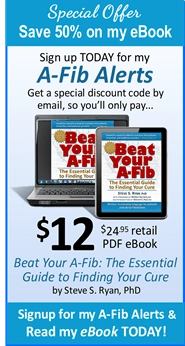 It wasn’t until I found “A-Fib Resources for Patients” that I began to take a real interest in researching PVI/PVA. 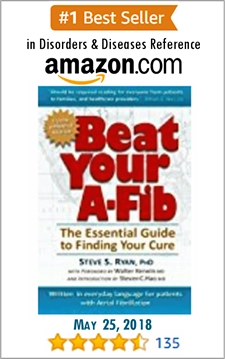 Over the last three years, most of my research was facilitated by Steve Ryan, PhD and his ‘A-Fib Resources’ website. It was my G.P. that made the initial diagnosis, and it was he who took a half-dozen years with four different prescribed medications that had no noticeable effect on my A-Fib condition. I had read about Amiodarone and asked my G.P. for it. He responded by sending me to a local cardiologist who responded by sending me off with a Holter monitor. Because there were no episodes to record in the short duration of the Holter test period, I did not get the Amiodarone I had requested. 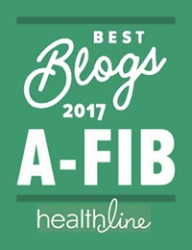 A year or more passed, and my A-Fib condition worsened. Finally, this cardiologist set me up with a hand-held device that monitored my heart rhythms and transmitted the recordings via telephone to a contracted facility that “read” the recordings. By this time, my episodes of A-Fib came as often as three times a week and often lasted 12 to 24 hours. Finally convinced that I did have the condition, I got the Rx for Amiodarone. I did get some relief from the A-Fib episodes that, by this time, had become very debilitating. Circumstances were such that I had to change my primary care health professional while in my 8th year on Amiodarone. My new doctor was absolutely beside herself when she learned that I had been taking such a toxic medication for so long. She ran a blood panel that showed my kidney function and liver function were compromised. She had me abandon the Amiodarone, referred me to a new cardiologist, and away I went with another 2 year run on three different “new” medications, propafenone, sotalol, and flecainide. Of these, only Flecainide proved to be of any value, but I couldn’t seem to tolerate it on a regular regimen. And for the first time, I asked if I would be a candidate for an ablation procedure. The first electrophysiologist I saw wanted me to see a surgeon who is known for his work doing “Totally Thoracic Mini Maze” procedures. He stated that he, himself, would only do ‘tune-ups’…. as needed…. following the surgeon’s procedure. I did not want to proceed down this path, and sought out another EP. I was referred to a second EP who did not make it as far as the first consultation with me. Through the internet, I learned that this Doctor had a very poor history, and had lost some lawsuits regarding his practice. I did not want to proceed down this path, and continued my search. The third EP I contacted was either unwilling or unable to give me any information regarding what expenses were covered and not covered by my insurance, and what my co-pays might amount to. 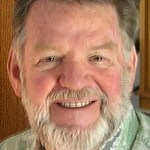 While this doctor and the facility where he performs have excellent reputations, I could not go into a situation where I might become deeply indebted. From first contact to last, another 4 months passed. By this time I was taking Epson salts soaks, supplementing my potassium, and getting by reasonably well using Flecainide as a “pill-in-a-pocket” stop-gap measure. In mid-summer 2012 I had a consultation with Dr. Padraig G. O’Neill M.D. F.A.C.C, and there was finally a light at the end of the tunnel. Doctor O’Neill and his staff were so excellent in their approach to my questions and concerns that I came away with a firm date for my long-awaited PVI procedure. The procedure was to be performed at Mercy Medical Center, Sacramento…the capitol city of my state, and about a three hour drive from my home. Arriving there at 5:00 am, I opened the Cardiac Support wing with the duty nurses of the day. By the time I had been gowned and shaved, I was on a first name basis with the entire staff. The mood was light-hearted and, while professional in all respects, humor was not neglected. By 8:30 am, I was taken into the EP Procedure room. There again, I found a full complement of nurses and doctors who were enjoying background music and banter with one another. “Wow!” I thought. “This place isn’t scary at all!” However, I was not there to party, and it was not long before the anesthesia took me to la-la land. I was awakened around 1:30 pm to those same smiling nurses asking how I was feeling. I was hungry, dehydrated and tired, but felt absolutely no real discomfort. Dr. O’Neill came by and gave me a blow-by-blow account, from his perspective, of how the procedure went. He told me that the Cryo Balloon was employed on the first two pulmonary veins, but the second two were ablated using the more traditional RF methods. It seems that I have was is called a “common trunk” with a very wide opening that would not allow a good fit for the balloon in the second location. There was an area, not associated with the pulmonary veins, that was identified as having potentials that were also ablated. For the recovery monitoring period, I was taken back to Cardiac support…back to the friends that I had made so early that morning. These ladies saw to my every need. Cold drinks? Snacks? Extra pillow? Whatever they could do to make my time spent there more comfortable, they saw to it. They helped to arrange for lost-cost, easy access, overnight accommodations just across the street for my wife as well. On the drive home the following afternoon, I thought about all those years that I had spent….with all of the drugs, and all of the depressing hours, with all of the sacrifices, and all of the fear…nearly 15 years of it, and in a 2 day period of time, with little discomfort (and within my budget!) all of that might now be behind me. Could I be so fortunate? Ten months have now passed. I’ve had two A-fib episodes in that time, and none in the last five months. I keep Flecainide handy for the “pill in the pocket” routine, and I still take a soak in Epson salts once a week to keep my magnesium levels up. I do not take any blood thinners, and no heart medication whatsoever. In my 70’s now, I won’t be running any endurance races, and my conditioning level is too low for any serious handball (yet). But my energy level is high enough that I live a very normal life. 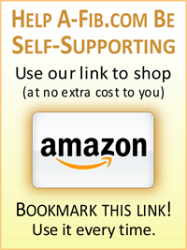 I am a hobby woodworker, and I typically spend anywhere from 4 to 6 hours a day in my shop. I walk, swim, cut wood, and, when nobody is looking…I dance. I understand that the A-Fibs might one day return, but I’ve got Dr. O’Neill and all of those wonderful people at Mercy General as my “Ace in the Hole”. I would have no hesitation in returning to them for a tune up if, or when, that day should ever arrive. I feel a little foolish now, a little sheepish, that I had made such a big thing out of getting this procedure done. I won’t tell you that it was the most fun that I’ve had recently. But the experience for me was something of an adventure, and not one that I regret in the least. It’s really remarkable that Mike could live in paroxysmal A-Fib for 18 years and not progress to Chronic (all-the-time) A-Fib. In one study over half the people who developed paroxysmal A-Fib turned Chronic after only one year. Perhaps Mike’s athleticism and fitness kept his A-Fib from getting worse. In most people A-Fib is a progressive disease that remodels the heart and gets worse over time. If you have A-Fib, you should be treated as reasonably soon as possible. 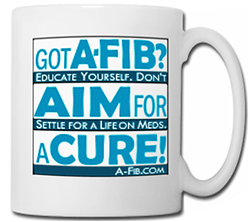 Staying in A-Fib for over a year runs the risk of permanently remodeling and damaging your heart, developing fibrosis, etc. 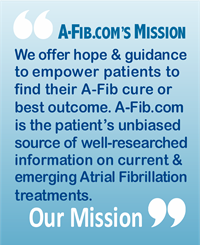 Though most of the remodeling effects of A-Fib are often reversed after a successful catheter ablation (with the exception of fibrosis), it’s best to be made A-Fib free as soon as you can.